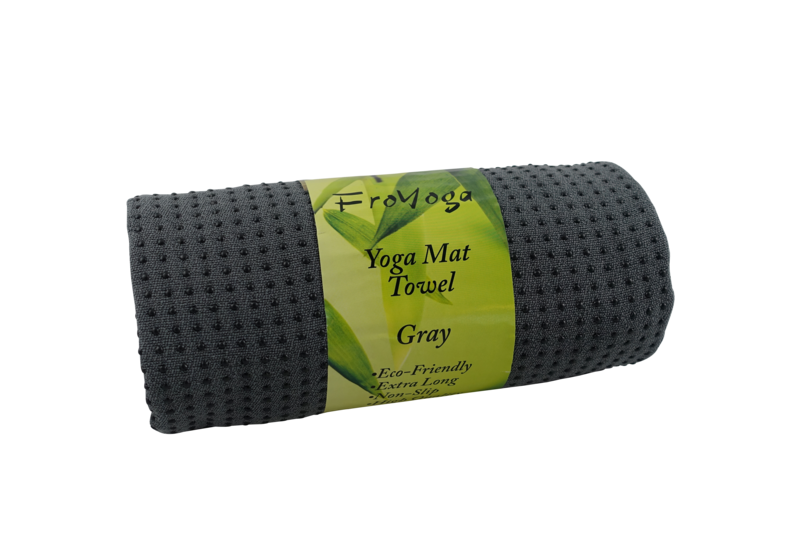 I love this yoga mat/towel from Froyoga. I love yoga and I am always excited to try out new yoga gear. This yoga mat/towel is one of my new favorite yoga accessories. This is a good sized mat, it also has grip treads all over it! This is awesome for being able to get your grip and do some of those tougher yoga moves. No slipping at all all! The other side is an absorbent microfiber material you can use as a towel. This is really great for those hot yoga sessions! I tend to get pretty sweaty during yoga so I love that this can double as a towel. This way you don’t have to carry two items a mat and a towel, this one makes it all in one. It’s a great size, works really well. I love it! ✔PREMIUM VALUE: Our Yoga Towels are premium quality, yet are AFFORDABLE. Not only will you love the way it feels, you will also love the value you are getting. ✔EXTRA LONG: At 24″ x 72″, they are designed to work great with longer mats as well as standard-length mats. ✔NON-SLIP & ABSORBENT: Non-slip PVC dots will adhere to your yoga mat so that you can focus on your practice and take it to the next level. It acts as an ideal moisture absorbent towel to wipe away perspiration and creates a slip free surface. ✔HYGIENIC BARRIER: Our yoga towel will provide a protective layer between you and a borrowed studio yoga mat, or your own home mat.